I remember my mother making this dish when I was young. The fragrance of the fried onions, the pungent scent of cumin, and the aroma of fresh cilantro still reminds me of home. 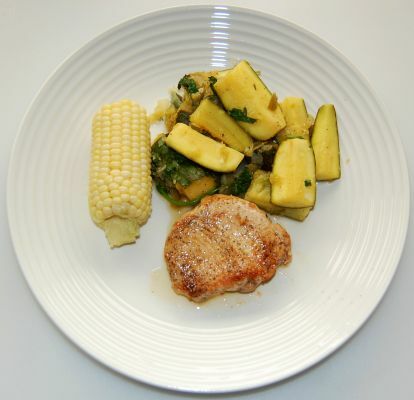 You can make this delicious dish in about 30 minutes. 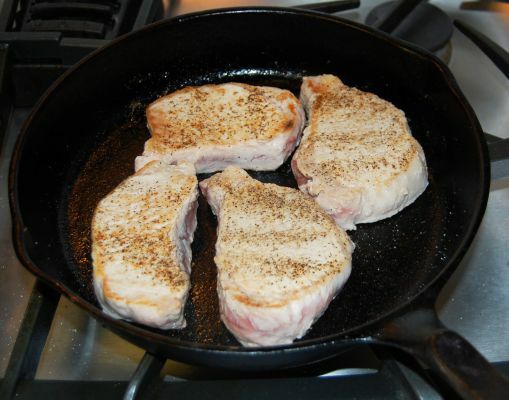 Season the pork chops with salt and pepper and brown in hot oil in a large skillet. Separately, sautee the onion and garlic. 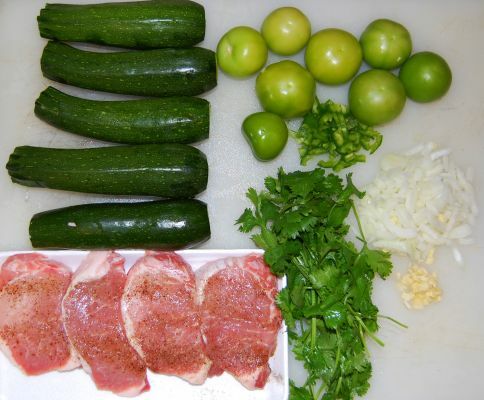 Add the zucchini cut in small pieces, the chopped tomatillos, and the chopped jalapeño peppers. Add the cumin, and season with with salt and pepper. Cover, reduce heat and simmer for 15 to 20 minutes until tender. Add the cilantro during the last five minutes.